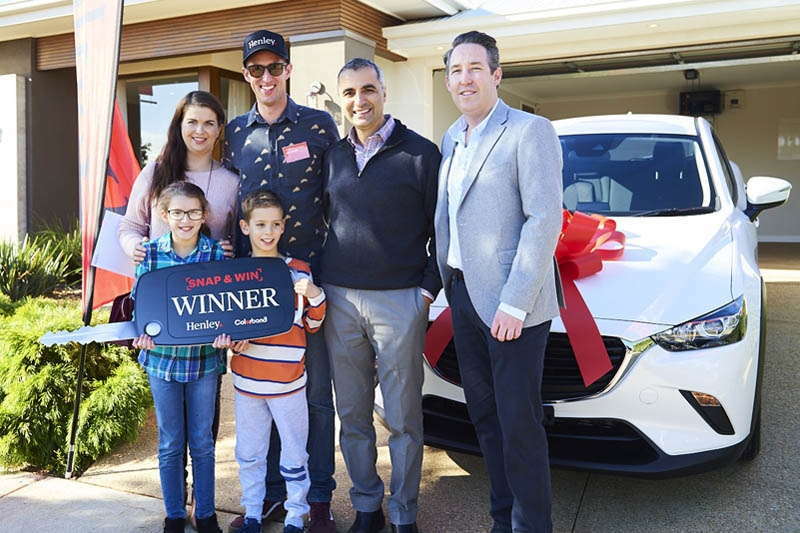 Henley recently partnered with COLORBOND® steel to create the Snap and Win competition, giving away a brand-new Mazda CX-3, valued at over $25,000!!! Ten finalists were randomly selected from the mammoth pool of over 700 creative entries over a 3 month period. Pulses were racing for the ten lucky finalists, their family and friends, who were one step closer in getting behind the wheel of a Mazda CX-3. The unveiling event was choc-a-block with fun (and nervous anticipation) with heaps of giveaways. The lucky ten finlaists were called outin alphabetical order by the MC Tess Shannahan and then were asked to pick a garden gnome which had a number tag on it. That gave the finalists the number in line to collect a box which had their lucky transmitter in. Only one remote would open the display home garage door to reveal a new Mazda CX-3 to take home. Lady luck was with one of the contestants from the outset and that was Jason Wright, the first finalist to collect and press the remote. Jason certainly had the Midas Touch as his remote opened the garage door and became the new owner of the Mazda CX-3. Congratulations Jason! Henley and COLORBOND® would love to thank all the people who entered the Snap and Win competition. 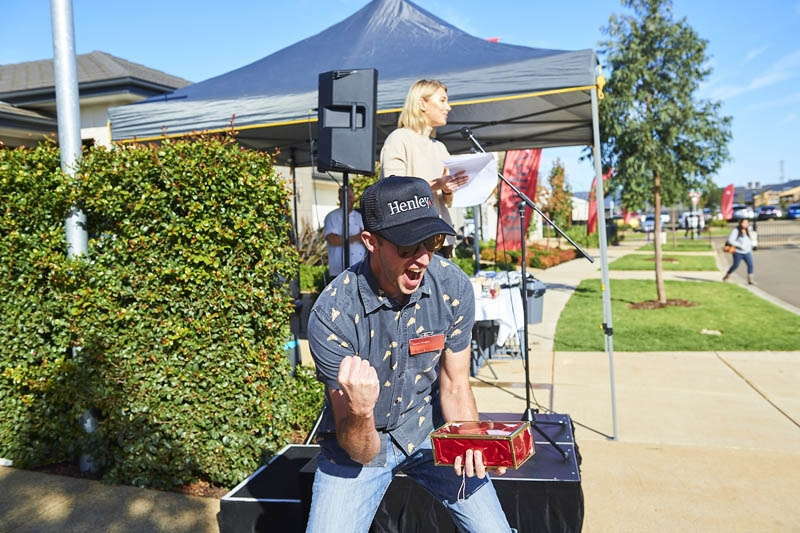 We’re fresh out of cars to giveaway, but if you’re looking for all new home inspiration, every visitor is a winner at Henley World of Homes, where we showcase the latest interior and exterior selections on display. Visit us for more information and to start discovering your new home style!